Capitas Partners' struggle to land a deal suggests the business of selling managed services is as hot as ever. It’s been a long seven months for David Eshaghian and his associates at Capitas Partners, who have been beating the bush since last September in search of a Los Angeles-area managed services provider (MSP) who’s willing to sell. The former investment banker and his group have shaken countless hands at conferences and lit up the phones of brokers, banks and MSP owners, making unsolicited bids they hope will ultimately help them get a foot in the door of the lucrative outsourced IT services game. Sometimes, they’ve been unable to reach agreement on valuations. More often, the MSP owners are lukewarm to the prospect of selling, noting their businesses are growing and that selling just doesn’t make sense. “We need six months; come back and talk to us later,” one owner told them, reflecting a common sentiment. Despite frenzied competition and intense demands in the space, Capitas’ struggle to land a deal suggests strong margins and market growth are combining to keep the business of selling managed services as hot as ever. “It’s a very interesting problem: That people don’t want your money,” Eshaghian said. To be fair, Capitas Partners is looking for just the right MSP. 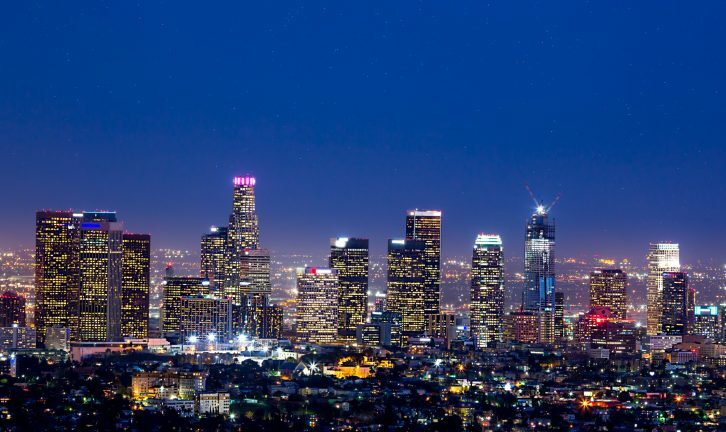 First, the business must be located in the greater Los Angeles area. Surrounding communities to the east and west are in play, but Orange County, located 35 miles south of downtown L.A., is out of their target radius. Second, the ideal MSP will have annual recurring revenue of less than $5 million, and ideally in the $2- to $4-million range. Finally, the seller needs to be willing to sell 100 percent equity, though the group is amenable to – if not outright encouraging of – the seller remaining involved in the business for some period of time. Capitas Partners says they have the cash on hand needed to make the deal. Some of the principals in Capitas currently run a competitive local exchange carrier, operating their own data center and contracting with school systems and other government agencies, Eshaghian said. The hope is to eventually sell managed services to the several thousand customers already in their fold. That’s why Capitas wants to buy an MSP intact, complete with all of the technology, other assets, and technical and sales staff. An ideal purchase would also call for the seller to accept some significant amount of cash up front, then stick around and earn a percentage, possibly as an earn-out, to act as an advisor while Capitas Partners implements its growth strategy. Part of the group’s plan calls for acquiring additional small MSPs in the region during the next few years, Eshaghian said. But until a willing seller emerges, all of those plans remain on the drawing board. Capitas Partners is learning the MSP landscape and refining its pitch to owners with each failed attempt. As the group sees it, the MSP market is very fragmented and often lacks the polished business savvy Capitas Partners hopes to bring to the table. Is Capitas Partners still looking at an MSP for sale? I am in Costa Mesa however.